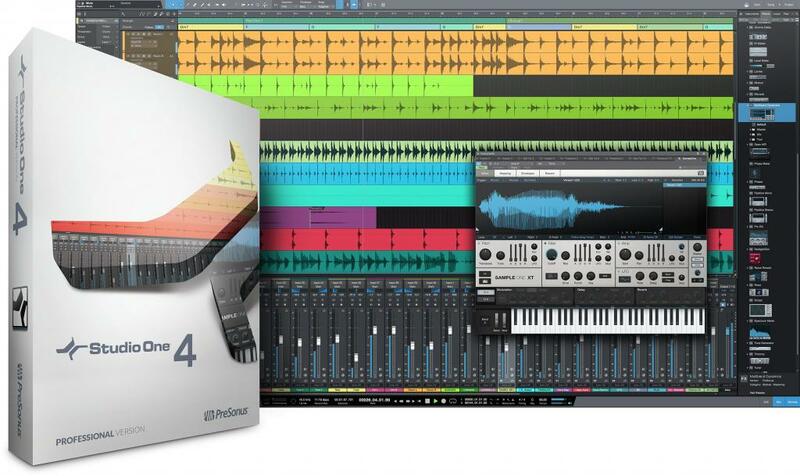 PreSonus’s Studio One has quietly evolved into a very capable DAW, and now the company is attempting to further enhance its reputation with the launch of version 4. This is billed as a ‘best of both worlds’ solution that will please both audio recording traditionalists and the beatmaking generation. There are creative and functional new features to tell you about, starting with the Harmonic Editing options. Designed to assist you at the compositional stage, these enable you to experiment with harmonies, transpositions and chord progressions, and can work across instrument and audio tracks. There’s a Chord Selector, while the chord detection feature extracts chord from audio or instrument tracks. Chord Track and Harmonic Editing – Taking a nod from Cubase PreSonus introduces a useful chord track. But this also includes a very interesting Chord Selector for building your chord progressions. Chords can be triggered or progressed via MIDI and you can apply chords from the Chord Track ontop existing tracks. This extends to audio tracks with Audio Harmonic Editing and re-harmonisation. Sample One XT – The original inbuilt sampler gets an overhaul with a load of new features and improvements. Live sampling is, of course, the big one. It can sample from any input, send or output. You can now drag and drop samples from anywhere into the GUI and let Sample One do the auto-slicing and adjustments for you. Impact XT – Following on from the sampler is this new version of the Impact drum machine. It’s taken on loop production as well as beat making. It has 8 banks of pads and per-sample editing. Drum Editor – Another welcome Cubase throw-back is the drum editor. Basically, a piano roll that’s tailored towards percussion. So you get hits rather than notes. This is tightly integrated with Impact XT. Drum and Melodic Patterns – Brings in Musical Patterns which are pattern or step-sequence style of programming and arranging. Cross-platform file exchange – not exciting but very useful. Studio One® Artist and Professional are available direct from both PreSonus and music retail shops worldwide as both upgrades and full versions. Both Artist and Professional are available in downloadable or boxed editions. Street prices are: Studio One 4 Professional $399.95; Studio One 4 Artist $99.95. If you own another DAW but would like to integrate Studio One into your workflow, the Studio One Professional crossgrade was created for you. Studio One Professional crossgrades are available at a special price from music retailers and direct from PreSonus. You don’t have to take our word for it; watch the accompanying video from professional producers who recently adopted Studio One. Learn more about the crossgrade program. Ready to try Studio One, but not quite ready to buy? We have two ways to get started and both are free. For the full experience, download the Studio One Professional Demo which is fully functional for 30 days. Studio One Prime (coming soon) is an entry-level and non-expiring version of the software. Best of all, in both versions you can save and export your work, so there’s no risk in using them on real projects.